The Lotus brochure offers a wealth of information on our comprehensive range of products. Browse through the facts and advice you need to select the best stove or fire for you and be inspired by our set ideas with professional interior styling and photography. 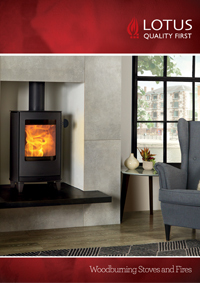 Lotus recommends the Stovax comprehensive range of stove and fireplace chimney systems, the Stovax Professional XQ™ collection. Crafted from 304L grade stainless steel for a durable outer finish, the fully sealed components offer water tight protection for the insulation within. With innovative decorative options, the ability to specify a colour for your system, and with a host of technical advancements such as its Twist-Lock system, the Stovax Professional XQ™ range provides an attractive, versatile and reliable solution for your flue system. Furthermore, the Stovax Professional XQ™ range carries a 10 Year Extended Warranty offering complete peace of mind. 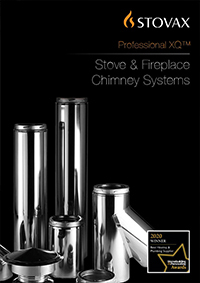 For further information or to request a brochure, simply contact your local retailer or visit www.stovax.com/chimneysystems. To help you get the best performance from your stove or fireplace and keep it in good condition, inside and out, Stovax (Lotus’ distributor in the UK and Republic of Ireland) offers a wide range of cleaning and maintenance products. 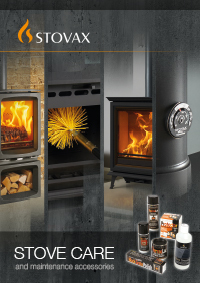 Stovax also supplies a wide variety of fireplace accessories. Your Lotus retailer will be able to give you full details or you can view the complete range at Stovax.